Very soon a brand new version of The Unofficial Guide to Washington, D.C. will be released with all new content. Co-written by our very own Len Testa, this excellent book (yes, I’m biased) will also bring about an evolution right here on TouringPlans.com. To date we have focused on theme parks, but in 2016 we will also begin introducing Washington, D.C. content to the site with the same thoroughness we give to our other destinations. 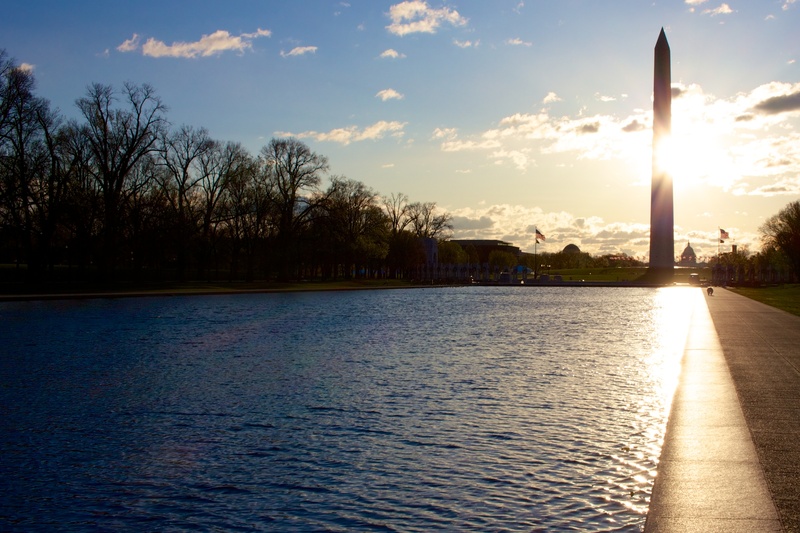 This post represents the first of our periodical entries about our nation’s capital. Just last weekend I visited Washington, D.C. and was lucky enough to get admitted on a tour of the White House, the residence of every U.S. President except for George Washington (who selected the construction site). Sure, there were a few instances where an American leader had to move out — namely when the British burned it down in 1814 — but, for the most part, it’s been the house of presidential families for over 200 years. Now, attempting to get onto a tour of the White House is an adventure in itself, but I’ll wait until the end to outline that process. As one probably expects these days, there are several layers of security before getting anywhere near the White House. There are two tents with ID checks, a trailer with a metal detector, and another trailer with an ominous machine that scans for…something (I passed though!). Naturally, at every checkpoint are multiple representatives from the police and/or Secret Service on hand with an impressive array of armaments. All in all, it will take you about 20 minutes to get from the entry gate to the door of the White House. Of course, as I’ll discuss below, time on the White House tour is solely dictated by the large number of people in front of you. I apologize for the massive preamble, but one of the things I have always found with touring Washington over, say, a theme park, is that history and security is something that always comes first (okay, maybe not that different). 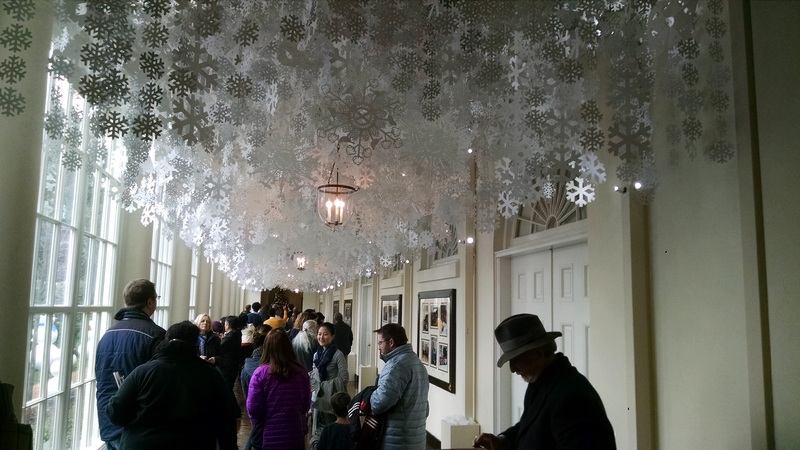 The meandering path through security leads you into the East Wing of the White House and through a handful of rooms, most of which serve the primary function of being seen by tours. 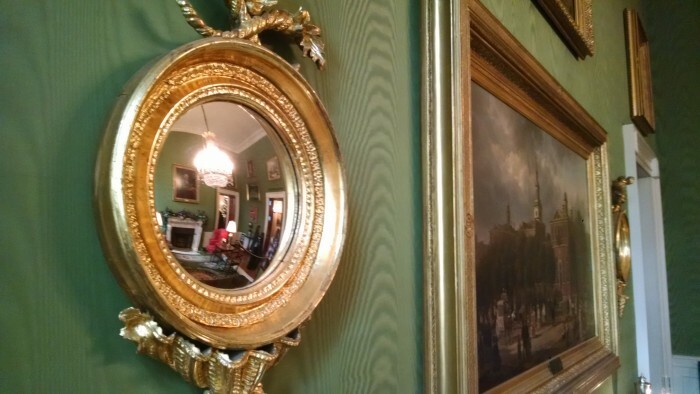 Under normal circumstances, rooms such as the Library, Vermeil Room, and China Room are immaculately appointed and can be seen from the roped-off doorway. At Christmas time, rooms like these — as well as all of the hallways — are decorated with trees (all real), ornaments, and all manners of Christmasy goodness. Although you still can only see them from the roped-off doorways. Forgive me if I seem dismissive of the grandeur of the President’s residence, but these first few rooms are very obviously only used as displays. 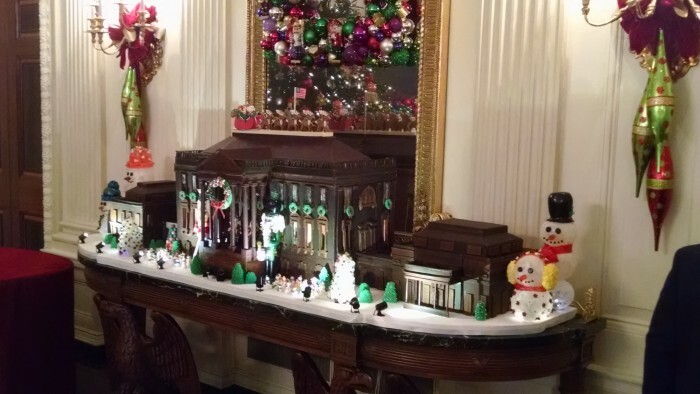 The falseness of it is mitigated, of course, by realizing that this is not a Disney recreation, but the actual White House that has stood for two centuries and seen countless historical figures and events. The other mitigating factor at Christmastime is the fantastic decorations. In the East Colonnade for instance, a flurry of snowflakes dangles from the ceiling with a special flake for each of the 56 U.S. states and territories as well as several hundred other, smaller snowflakes. 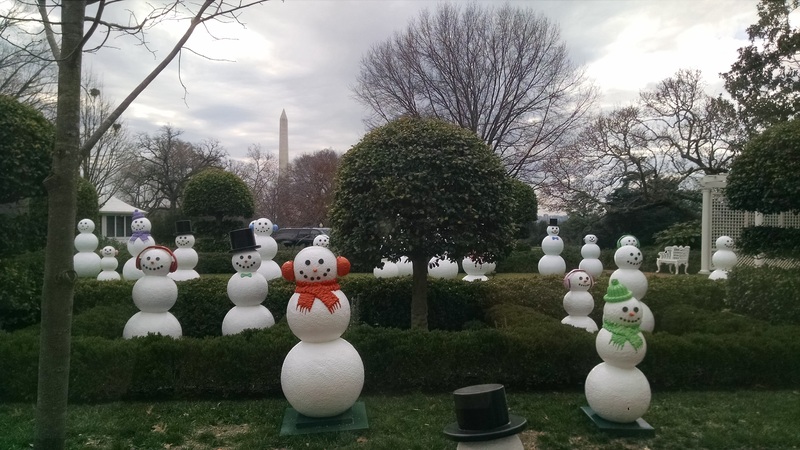 Looking out the window of the Colonnade is one of the more fun (and slightly creepy) decorations: an array of snowpeople that stare in through the window. The adjacent East Garden Room also offers a sense of humor in its decorations as that room is dedicated to the first pets: the Portuguese Water Dogs Bo and Sunny. 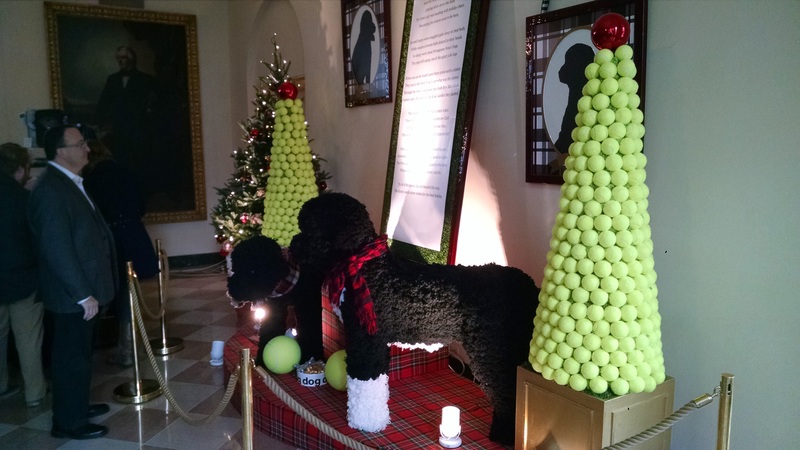 They like tennis balls (the more you know…). If I look away do they come to life? Luckily, the feeling that this is all set up for tours changes (a little bit) when you head upstairs to the State Floor. The East Room is the larges in the house and is used for special events such as state funerals (of 7 Presidents) and weddings (of Nellie Grant, Alice Roosevelt, and Lynda Bird Johnson). 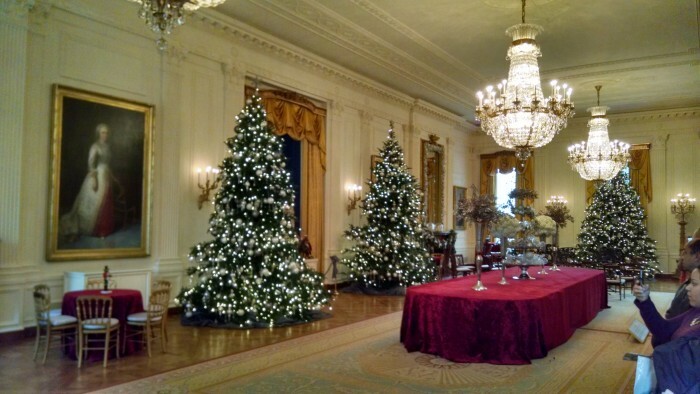 The Christmas decorations in the East Room feature four sparkling trees and a nativity seen carved in Naples, Italy in the 18th century (sadly not pictured). The next three rooms are historically significant, if not inventively named. First is the Green Room, which was used by Thomas Jefferson as a dining room. 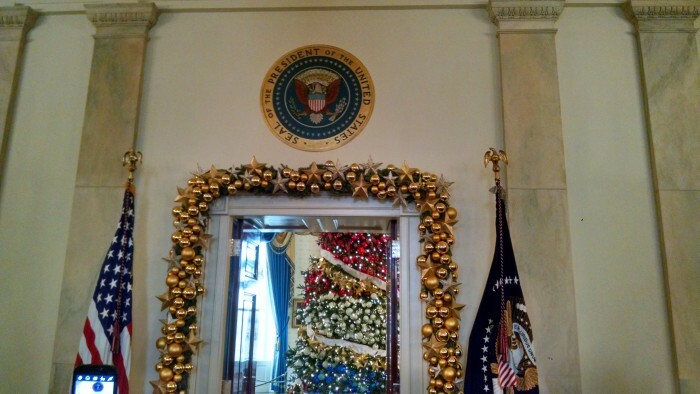 The Blue Room is still in use by President Obama to greet guests and currently houses the White House Christmas tree. 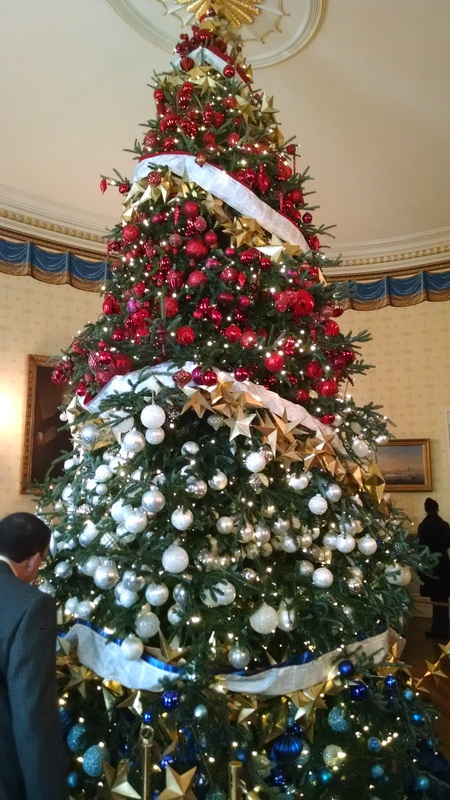 The tree is 18 feet 1 inch tall and swathed in red, white, and blue. A less grand, but nonetheless special, aspect of the Blue Room is that its curved windows look out toward the South Lawn and Pennsylvania Ave. It really hits you at this moment that you’re standing in the White House as you see tourists lined up outside the fence taking photos. The Red Room was initially a breakfast room and was where President Hayes took his oath of office. 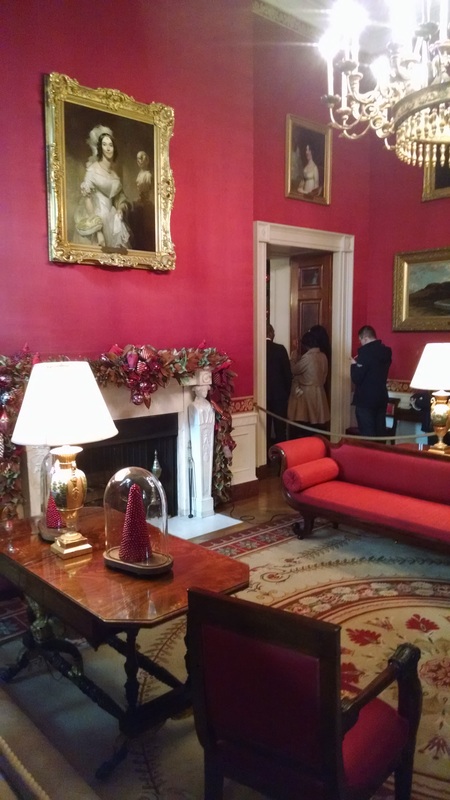 My personal favorite room on the tour is the final room — the State Dining Room. 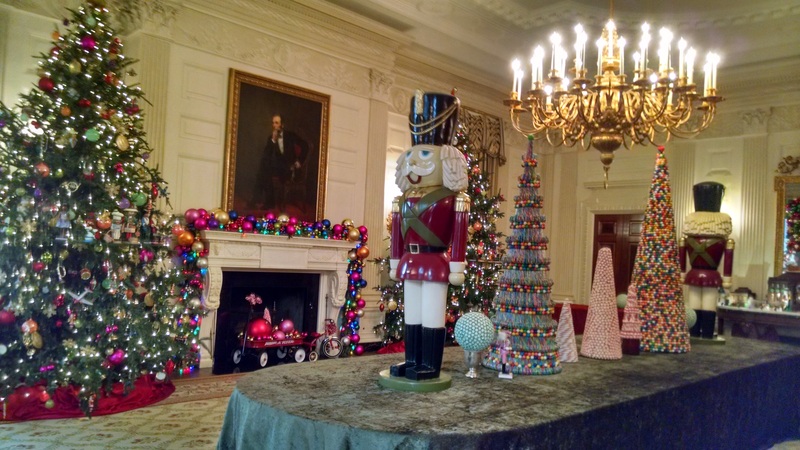 Normally capable of seating 130 guests, the large room was the site of the first White House Christmas party — hosted by President and Mrs. Adams in 1800. At Christmas the dining room features decorations that showcase the wonder and playfulness of the holiday. 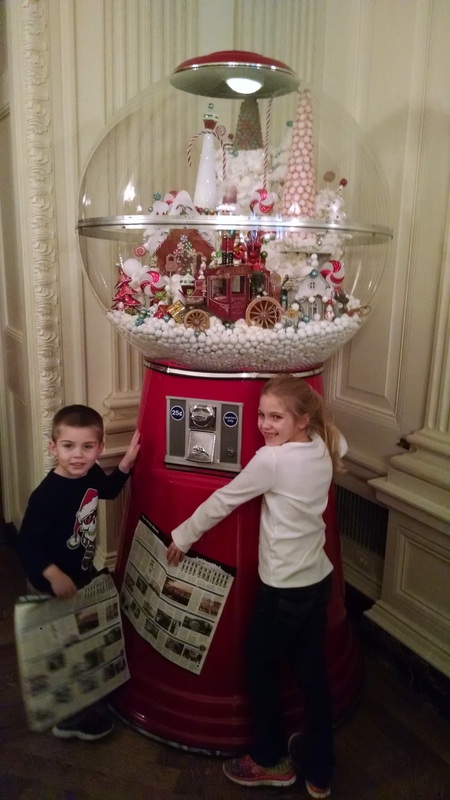 Its large trees are adorned with toys, smaller trees are made of candy, and there is a gingerbread White House and a larger-than-life gumball machine. I was under the impression that since the tour is so difficult to obtain (see below) it would not be overly busy. I was wrong. Every security line and hallway we entered was packed with people and the path through the accessible areas of the rooms were as well. 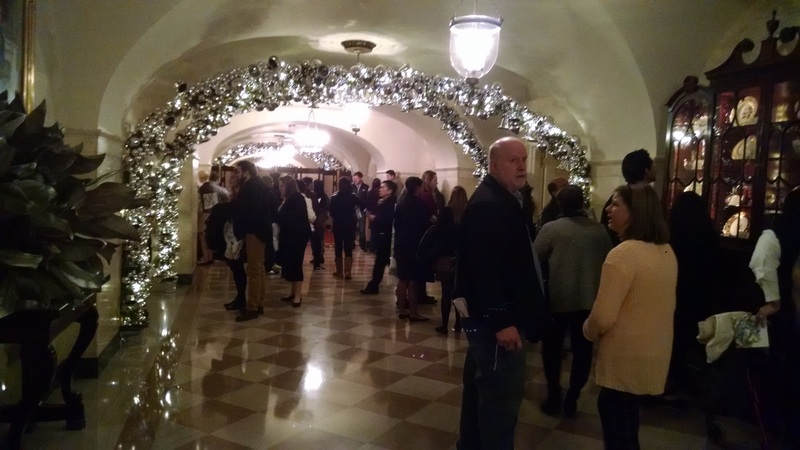 Since most of each room was blocked by a rope, the pace at which we moved through the White House was entirely dictated by the hundreds and thousands in front of us. What is worse is that the later afternoon tours (ours was at 11am) we walked by had even longer security lines. The good news is that it is extremely well organized and the roped-off rooms allow for unimpeded views and photography opportunities regardless of the crowds. 1. As soon as you know the dates of your visit (and it is within 180 days) locate your congressman. For your representative, go to www.house.gov and enter your zip code at the top; for your senator, go to www.senate.gov and select your state from the dropdown box at the top. 2. From your congressman’s website, find the menu for Tours and Tickets (it might be under a “Services” subheading) and fill out all information. 3. This is where it gets tricky: you may get an email or phone call from your congressman’s office within a few days, you may get one in a few months, or you may never hear from them at all. If you do not hear from them at all, about five or six weeks before your visit try contacting them directly to ask about your request status. It may not help, but it won’t hurt either. 4. Hopefully at some point you will receive an official request from your congressman for more detailed information on those visiting and the specific dates you are available for a tour. Once that information is sent in, the tour can be scheduled by the White House. Tours are available from 7:30 am to 11:30 am Monday through Thursday and 7:30 am to 1:30 pm Friday and Saturday. The specific time and date within your availability range cannot be selected nor can it be changed, so consider that when choosing your available dates. 5. If all goes well you will be confirmed on a White House tour approximately 2-3 weeks prior to your visit. The last step is to call 202-456-7041 on the morning of the scheduled tour. Unfortunately, the high security level of the building means that tours are cancelled for many things. Make sure yours is still on before you head to 1600 Pennsylvania Ave. If you do participate in a tour, limit what you bring with you. Compact cameras with a lens no longer than 3 inches and cell phones are allowed, but for still photography only. Video recording, live streaming, talking on the phone, or texting while inside the White House is not allowed. No bags, strollers, or food are permitted and there are no storage facilities, meaning that you either have to abandon your tour or throw out the offending object. If you’re in doubt about whether something will be allowed, don’t bring it. Another important note is that there are no restrooms available for public use in the White House – despite having 35 of them. So make sure you use the ones in the Ellipse Visitor Pavilion just south of the White House before you go in. Is it Really Worth All That Trouble? Probably, and more so at Christmastime. 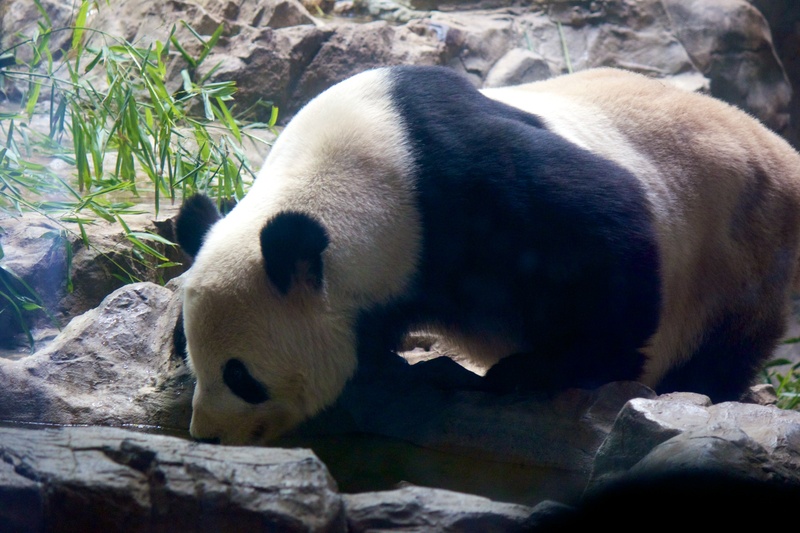 While it will not be the most breathtaking visit on a trip to Washington, it is still a very cool thing to do provided you can get booked on a tour at all. The Christmas decorations are beautiful and add some whimsy to the history and grandeur. Knowing what to expect will definitely help you adjust any expectations accordingly. Do you enjoy reading about non-theme park locations on our blog? 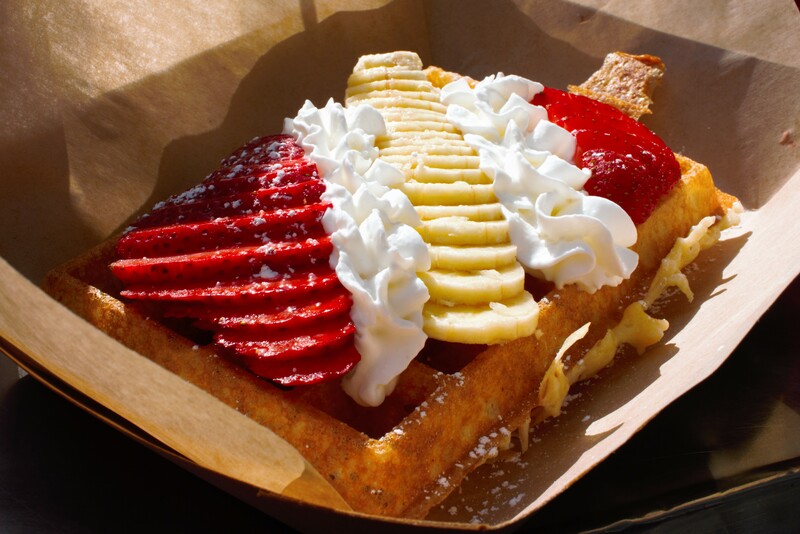 Are there any specific Washington, D.C. reviews you would like to see? Let us know in the comments below! I really look forward to this book. You’ll never run out of material–so many quality offerings in our nation’s capital…and so many are free! I applaud your new direction and I’m so happy you folks are writing the guidebook. It’s really a great city with so many fascinating places to visit and things to do. We’re all familiar with the major monuments and memorials, especially the ones on the National Mall. However, there are smaller monuments scattered all over the central DC area. (For instance, who knew there was an Albert Einstein Memorial?) A blog post on these lesser-known monuments might be an interesting one. Any chance there will be a kindle version of the new book? Will there be a way to separate the DC junk from the regular Touring Plans blog I’ve come to know and love? I’m not interested in reading about DC when I’m in the Disney zone. It would be great if yall could have tabs for different destinations. I’m thinking of joining but don’t want to deal with this mess. Wow- excited to hear this! I disagree with the comment that this is junk- it’s wonderful! Having separate sections of the blog for Disneyland, Disneyworld, Universal and DC would perhaps be an idea to look into as your content expands, but I applaud and appreciate your effort and look forward to seeing more content regardless of where it is placed!